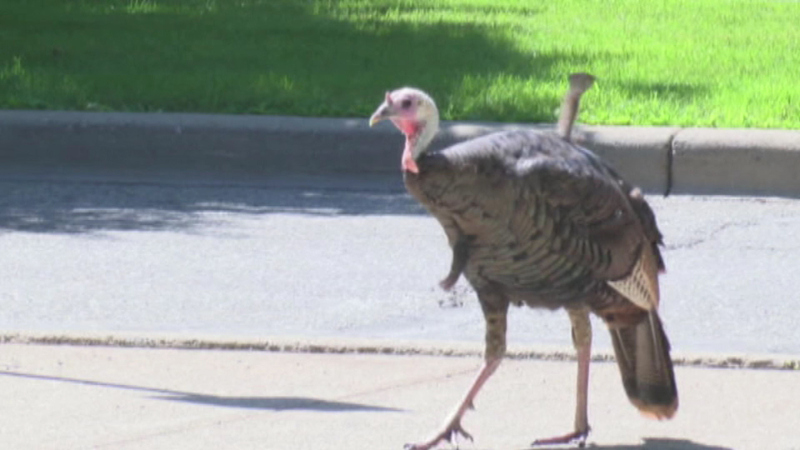 A wild turkey is running loose on the University of Michigan campus. ANN, ARBOR, Ill. (WLS) -- Students headed to summer classes at the University of Michigan in Ann Arbor are getting used to the sight of a wild turkey on campus. The bird is reportedly chasing people around north campus, trying to get into dorm rooms and causing traffic issues. Local police and the Michigan Department of Natural Resources want to capture the animal and move it to a more remote spot. However, so far, they can't get the turkey to cooperate. Students said the bird runs into the woods every time someone approaches.